Eline Muijres is Communications Manager at Dutch Game Garden. Eline has been working in the games industry since 2008, starting out as a game journalist for various websites and magazines. She specializes in PR, marketing, and production for video games, helping independent game developers become more visible and successful. She worked at game studio Game Oven on Bounden, a mobile ballet game for two players, that was awarded multiple awards and received considerable media attention. 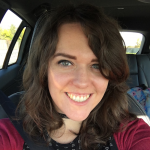 With her experiences of the inner workings of a small game studio, she aims to spread knowledge about game business topics to indie developers. At Dutch Game Garden, Eline’s activities include managing websites and social media channels, editing content, supporting and connecting people, and handling curation and content for DGG events. She was selected as an International Ambassador for the Game Developers Conference 2016. Eline will be hosting one of our tracks.